We can be exposed to over 30 different types of harmful EMR fields in our homes and workplaces including Electromagnetic Radiation (EMR), Earth Radiation (Geopathic Stress), Bioplasmic Radiation (Human Generated) and Solar and Planetary Radiation imprints. EMR creates resonant stress on the human bio-field which directly affects our organs, meridians, nervous system and hormones. This may lead to a compromised immune system, health issues, and an inability to recover from an illness. What people don’t realize is that EMR also negatively impacts our emotional well-being. There is a Solution! 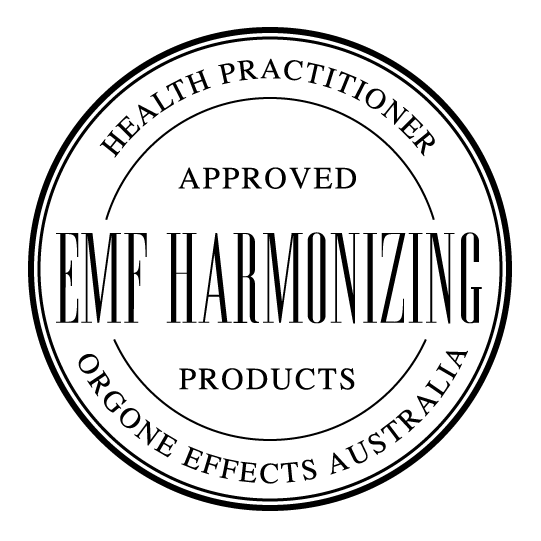 Orgone Effects® EMR Harmonizing Products. Orgone Effects® offer an extensive range of health practitioner approved EMR harmonizing products to neutralize the harmful effects of all forms of noxious energy emissions we’re exposed to. The Geoclense® Home and Workplace Harmonizer is much more than a 5G, electrical and Wi-Fi radiation harmonizer; uniquely programmed to neutralize over 30 different types of harmful EMR fields. is our pioneering Orgonium Technology (Patent Pending) which is unalike to anyone else’s, our large range of health practitioner approved EMR Harmonizing products, ongoing research into EMR fields beyond the normal, and our intuitive Building Biology house readings and experience. Orgone Effects® offer a comprehensive “on-site” property reading by world-renowned Intuitive Building Biologist Gerard Bini, for your home and/or workplace in metropolitan Melbourne, and local country areas by appointment. Gerard also offers a free intuitive “remote” property reading using Google Earth throughout Australia and anywhere in the world, via telephone or email correspondence. This assessment includes advising you of the types of harmful EMR fields which may exist within your space and how they’re affecting your family’s health and well-being and, most of all provide solutions to your EMR problems. How Do you test an EMF Harmonizer like the Geoclense? I have used the Geoclense for over 5 years. I have one constantly plugged in at home and have spares for my Motorhome and to take on holiday. I have travelled through Europe and always use an adaptor for the Geoclense in each country.